Cosmetic Acupuncture is an effective, non-surgical treatment to reduce the signs of aging. It is based on the principles of Chinese Medicine, which involves the insertion of very thin disposable needles into the acupuncture points on the face which will increase the local circulation to the face and stimulate collagen production, which will fill out the lines and give firmness to the skin for a healthy, glowing complexion. 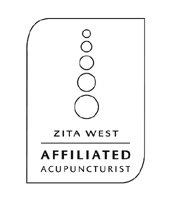 Cosmetic Acupuncture also works holistically by addressing underlying problems. There is a significant reduction of deep lines and the elimination of fine lines. Dark circles or puffiness under the eyes are reduced, drooping eyelids or jowls can be firmed up, oxygen supply to the face is improved and the lymphatic system is stimulated to drain away toxins. 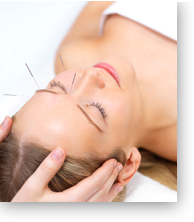 Recent research undertaken in Sweden has proven that acupuncture improves the collagen levels. The benefits of acupuncture as a means of rejuvenation are that it is not simply a facelift but the whole body is revitalised by the holistic approach resulting in a healthy glow.